Amazon has announced that its print-on-demand platforms CreateSpace and Kindle Direct Publishing (KDP) will merge, reports the Digital Reader. The announcement follows staff layoffs at CreateSpace in March and the closure of the company’s author services division in July this year. Authors are being asked to move their books from CreateSpace to KDP, and Amazon has launched a help page on the KDP website to explain how the merger will affect authors. The page states that while the ‘overall’ self-publishing process on CreateSpace and KDP is the same, there are some differences that will affect authors, including costlier printing on some ‘low-page count’ books, changes to the author royalty payment schedule (from 30 to 60 days after the end of month on KDP), and a new cover creator (covers created with CreateSpace will still be printed but authors will not be able to edit them). 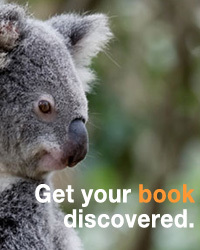 For more information about the differences between CreateSpace and KDP, click here. New GST laws affecting online retailers saw the company block Australian purchases from Amazon’s international websites in July this year, so it is unclear at this stage if proof copies will be available to Australian self-publishers who utilise KDP. Initially a DVD and CD production service, CreateSpace was acquired by Amazon in 2005 and later took on print-on-demand services. Amazon launched KDP in July 2016 and opened for a public beta test early last year.